An OFW was allegedly robbed by the person whom he has entrusted his safe travel. The unnamed victim was a seaman, who took a taxi cab en route to the Manila North Harbor Pier, located in Tondo, Manila. A blurry CCTV video (shown above) caught the incident that happened around 2AM last Saturday, September 9. 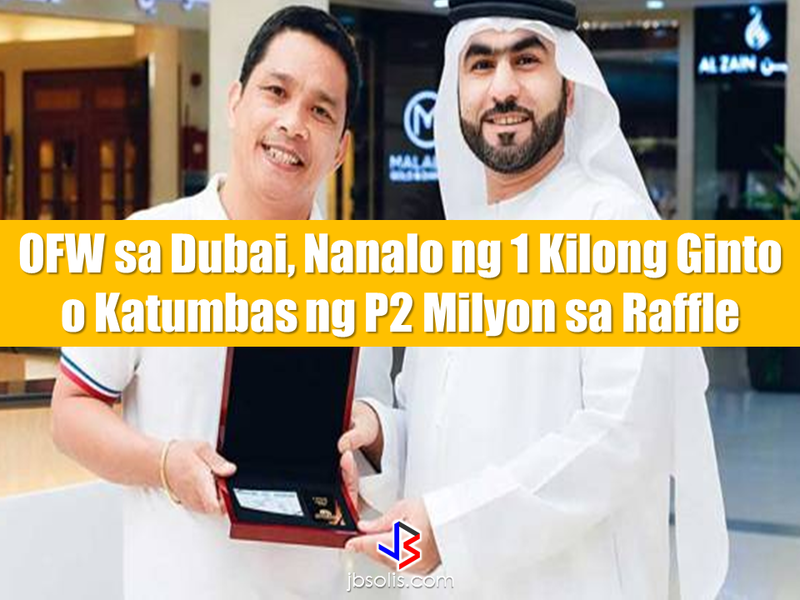 OFW NEWS: No more Ban: UAE Will Hire New Domestic Helpers From the Philippines! 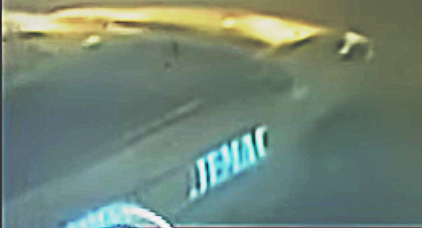 In the video, the taxi is seen pulling over the road side. The driver went out of the taxi and went to the passenger side. He then pulls the unconscious passenger out of the taxi and left him on the curb. A witness was quoted as saying the place is notorious because of criminals leaving dead victims in the area. 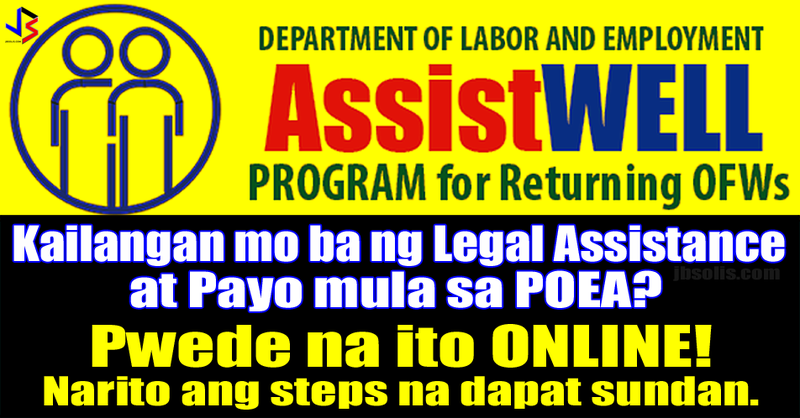 The OFW managed to go home the next day. His family was shocked to learn that he lost everything he had with him. He said he was robbed. Among the items taken was a brand new and expensive cellphone. Good thing, the family was able to get the description and license plate of the taxi. The family admitted that the OFW Seaman came from a reunion and had several drinks. But they insist that he was not very drunk at that time and was actually very coherent. Another witness said it is possible that the victim inhaled some gas that was released purposely by the driver. This apparently caused him to fall asleep. The local police is already in on the case. They are currently looking for the alleged taxi driver/robber. They are sternly advising the taxi driver that it is better to surrender. The driver is facing charges of qualified theft. 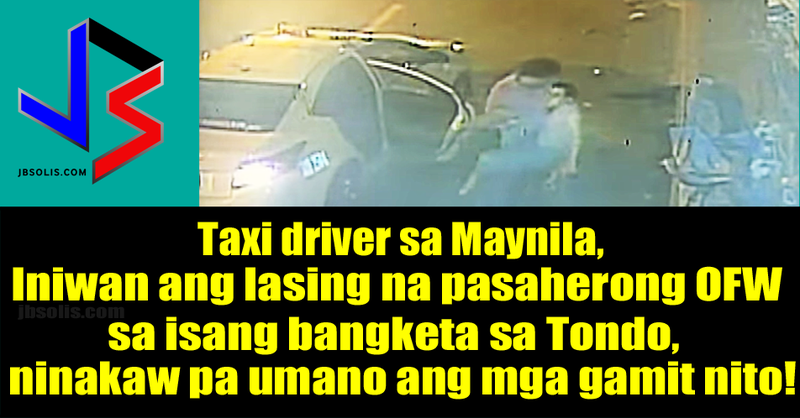 In situations like this, taxi drivers should assist drunk passengers, by either bringing them to the nearest police station or barangay hall. The taxi name is JEMAC with body number 1334. The license plate number is AAY 2504. UPDATE: The taxi driver who was caught in the CCTV leaving a passenger on the gutter has surrendered to the police. He has denied the accusation of robbing the passenger saying he did not notice the OFWs bag in the backseat, claiming another passenger has noticed it. The driver met with the family of the victim, returning the bag and cellphone and apologizing to them. The family accepted his apology and decided not to file a case against the driver.